Sixteen-year-old Seph McCauley has spent the past three years getting kicked out of one exclusive private school after another. And it’s not his attitude that’s the problem: it’s the trail of magical accidents—lately, disasters—that follow in his wake. 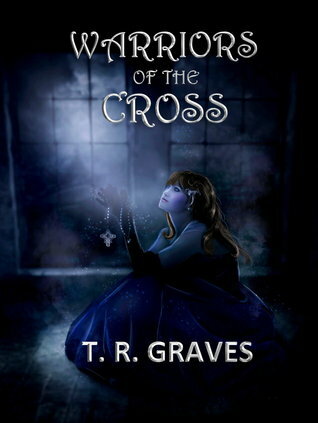 Seph is a wizard, orphaned and untrained, and his powers are escalating out of control. After causing a tragic fire at an after-hours party, Seph is sent to the Havens, a secluded boys’ school on the coast of Maine. Gregory Leicester, the headmaster, promises to train Seph in magic and initiate him into his mysterious order of wizards. But Seph’s enthusiasm dampens when he learns that training comes at a steep cost, and that Leicester plans to use his students’ powers to serve his own wicked agenda. Seraph is a Raven mage and among the last of the Travelers. Unwelcome among those who fear magic, the wizard clans have been decimated by the very people they've sworn to protect. But Seraph is spared a similar fate by the ex-soldier Tier - and together they build a life where she is no longer burdened by her people's responsibility. 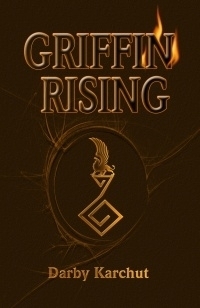 Today, I have the pleasure and honor to feature an interview with Darby Karchut, author of debut novel Griffin Rising. In a young adult world dominated by coming of age heroines and bloodsucking heroes, Darby Karchut presents a story where the main character doesn’t creep on girls at night and doesn’t grow fur when trouble strikes. Our boy Griffin is an angel—a Terrae Angeli in fact. You like angel stories right? Of course you do. That’s why you’re sneaking fond glances at your copy of Hush, Hush stowed in your bag under the table. Well today you can go grab a copy of Darby Karchut’s gem Griffin Rising at your favorite local or online drug—*cough*—excuse me, I mean bookstore. To celebrate the release of her debut, I have Ms. Darby here to answer a few questions. Now, you have to admit that missing six straight weeks of IMM posts is pretty incredible? And you can take that either positively or negatively. You should probably lean towards negative because I was just plain lazy and since sloth is one of the seven deadly sins, I should be watching my back right about now. School is out; summer is raging. I’ve gotten more books read in the few weeks I’ve been out of school than I have all year. (Don’t quote me on that, I just felt like saying it.) But, ladies and gentlemen, you are officially looking at a senior. No, don’t be alarmed! We don’t bite. The freshmen are the vampires. So besides lazing about, getting some reading done and generally failing to organize my bookshelf in any aesthetically pleasing way, I do have a lot of books to share. Take care that some have already been passed on and others have already been returned to the place from whence they came, but it’s my best. Besides books that have already left my literary sanctuary, my birthday recently took place. For said birthday, I asked for six books—two of which are already published, four that are preordered. Those two that have been published have not come in yet. I now fully understand the emotion behind “going postal”. I will share those two books with you when they’ve arrived. 2010-2011 Yearbook | Yearbook Staff Figured this counts, though it isn’t fiction. I really liked this year at school; made some really good friends. 1001 Things Every College Student Needs to Know | Harry H. Harrison Jr Besides being hilarious (and having a very alliterate name) it does have some good-sounding advice in here. It’s fitting because I’ll be heading off to college in a year and I’m worried as heck about it. 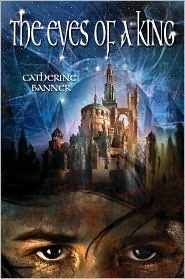 The Eyes of a King | Catherine Banner I’ve already read and reviewed this (see review here) and it was so-so. I’ve heard some great things about Banner’s work and I might just check out the sequel to this. Raven’s Shadow | Patricia Briggs Again, read and reviewed (review coming 6/29) and I absolutely loved it. I am absolutely checking out the sequel, Raven’s Strike. Briggs FTW. 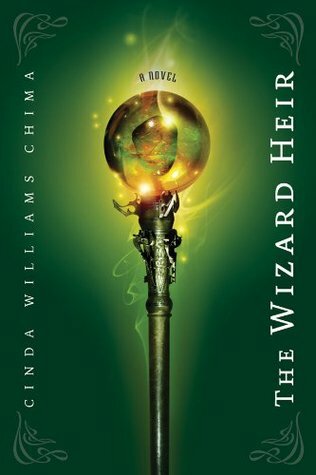 The Dragon Heir | Cinda Williams Chima It’s a hardy looking book at 500 or so pages. I’m thrilled to have found out a little while ago that there is also a sequel to this book—or there will be. 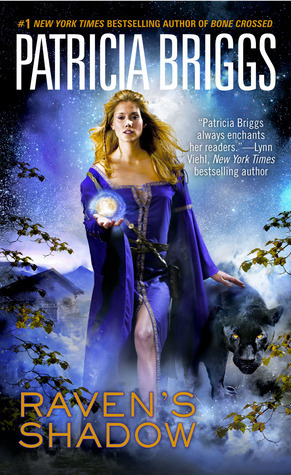 The Enchanter Heir is scheduled to release 2013—wow they’re really trying for mass killings, aren’t they, making everyone suspenseful like that. The Faerie Path | Frewin Jones & The Lost Queen | Frewin Jones I haven’t read this series in a while but I remember it being very good. So I want to reread this book and make sure I get a review of it up. The Throne of Fire | Rick Riordan I don’t remember if I ever put up that I’d bought this but oh well. I’m covering all my bases here. I love Rick Riordan’s work and I’m really looking forward to this sequel to The Red Pyramid (review here). Ranger’s Apprentice: The Emperor of Nihon-Ja | John Flanagan John Flanagan is one of my favorite authors from my tween years. I think I picked up the first book Ruins of Gorlan when I was…eleven? I own all the books (ranging editions, ugh) but I’ve only gotten up to book 8, The Kings of Clonmel. John Flanagan is a master storyteller. Can’t wait to start on this book. The only creature who can harm an angel is another angel. Leo North has spent five years remembering—remembering and writing about the time in his life when his prospects, although limited, still existed. He has recalled the tediousness of attending military school and the oppressiveness of living with his pious, fearful grandmother and his younger brother, Stirling. He has conjured up memories of the reluctance he felt about using his innate magical powers. He has relived the moment when everything changed. Five years ago, Leo found a blank book in the snow and immediately sensed its power. Words started to appear on the pages. Passages wove together his family’s past, the history of his country, Malonia—and that of a parallel world called England, where Ryan, the heir to the Malonian throne, was exiled. At the same time, the all-too-real challenges of his life closed in on him. And the book, initially an escape, became inextricably linked to Leo and his world. Leo has written about the painful events he experienced when his seemingly narrow path took some unexpected tragic turns and he found himself on a journey from which he never really returned. He has spent five years retracing his steps and filling in the blanks. This is Leo’s explanation. This is the book. This year was pretty good. I met new friends and reconnected with old ones, even if I didn’t manage to get my original goal of 100 books read. I changed the goal to 50 a couple of months ago and I actually made that goal with a book to spare. Bold signifies an ARC review (actually have a few of those!! ), the asterisk signifies it’s a part of the 2011 debut author challenge, and if it’s in italics it means I never actually finished the book. I picked up some FANTASTIC books this year. Let’s rack up some stats. That was a pretty awesome school year in terms of books, yes? Now I can finally tackle my summer reading list! As for the summer reads, I’m taking care of a few that I haven’t allowed myself to read this school year because of how big they are. For example, the compilation of the Narnia books. So I was thinking…every Sunday when I finally get around to doing my In My Mailbox, the first two commenters would give me numbers between a given range. Those would be the books I’d read that week! The only exception to this would be when I had library books or an ARC tour book because those are under a time constraint. Just look for the number range in my IMM posts and be one of the first two to comment! But Ruby will do anything to get her sister back, and when Chloe returns home two years later, a precarious and deadly balance waits…watches. As Chloe flirts with the truth that Ruby has hidden deeply away, the fragile line between life and death is redrawn by the complex bonds of sisterhood. 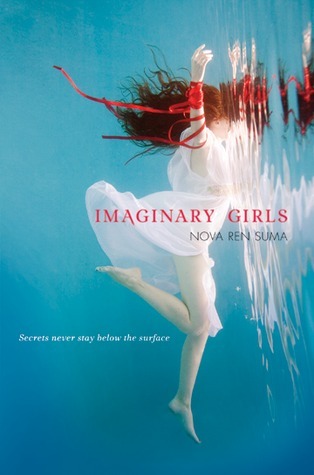 Imaginary Girls is a masterfully distorted vision of family, reminiscent of Shirley Jackson, laced with twists that beg for their secrets to be kept.